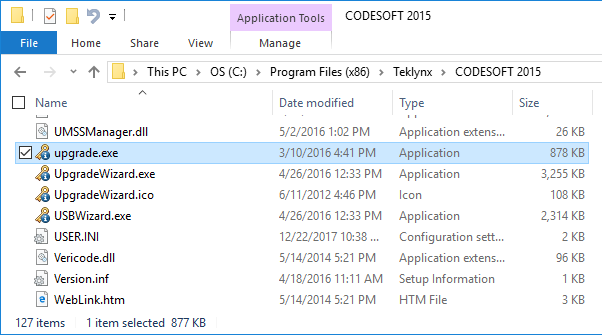 This Instruction Article explains how to upgrade an existing USB key for LABEL MATRIX, LABELVIEW, and CODESOFT. 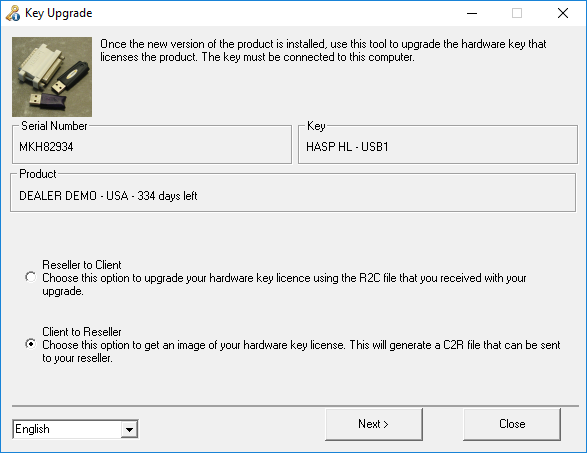 It explains how to upgrade the key license to a newer version. *NOTE: In some instances you will not need to provide a C2R file to obtain a R2C upgrade file. In those instances, TEKLYNX will automatically generate the R2C file for you and provide it to you when you receive the upgrade confirmation email from the production team. In this scenario, you can skip to the last step of opening the R2C file using the upgrade.exe executable. If you have questions about upgrading, or need to order a new license, please email us at info@efficientbp.com, or give us a call at 949-600-6970, press 1 for customer service.